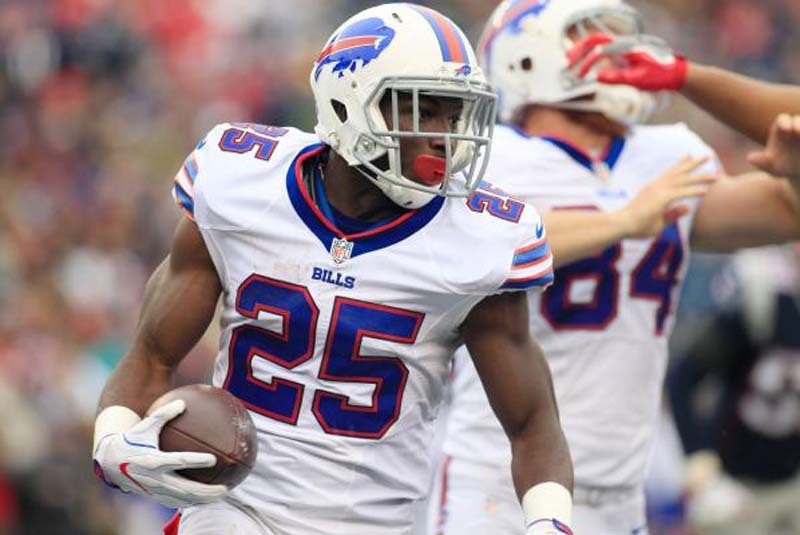 Buffalo Bills running back LeSean McCoy arrived at training camp Thursday and vowed that he will not be distracted by an investigation into an alleged home invasion that left his former girlfriend hospitalized. "I've been through a lot and I'm still here," said McCoy at an impromptu press conference before the Bills' first practice, per the team's official website. "All I can really do is train hard and not let anything distract me. That would be cheating my teammates." Earlier this month, McCoy's ex-girlfriend, Delicia Cordon, told authorities she believed the football star had "something to do with" an unidentified person assaulting and robbing her on July 10 while she slept at her residence in Milton, Ga.
Cordon was bruised and bloodied in what Milton Police called a "targeted" home invasion. A friend of Cordon's accused McCoy on social media of being responsible, even though the running back was in South Florida training at the time of the incident. [post_ads]The 30-year-old McCoy vehemently denied accusations on social media hours after the incident, saying he hadn't been in "direct contact with any of the people involved in months." Speaking to reporters Thursday, McCoy declined to discuss the probe but said both Bills head coach Sean McDermott and general manager Brandon Beane have been supportive of him since the incident came to light. "LeSean McCoy is here and we're letting the investigators handle that," Beane told reporters Thursday. "It's a police investigation. It's in their hands." Added McDermott: "We spoke to the people we needed to and did our due diligence. We feel we can move forward." There were reports that Milton police were called to McCoy's residence for domestic disputes three times since July 2017, although they found no evidence of violence. McCoy hired a prominent defense attorney, Don Samuel, to represent him even though he has not been charged or been mentioned by authorities as a suspect. Samuel defended former Baltimore Ravens linebacker Ray Lewis during his 2000 murder trial in Atlanta. "It's an open investigation and I'll leave it at that. Right now my main focus is on my teammates and reaching a championship together," said McCoy. "I'm blessed to be here and play this game. I'll never take this for granted." McCoy rushed for 1,138 yards with six touchdowns in 16 games last season as Buffalo reached the playoffs for the first time since 1999. He also had 59 receptions for 448 yards with two scores.